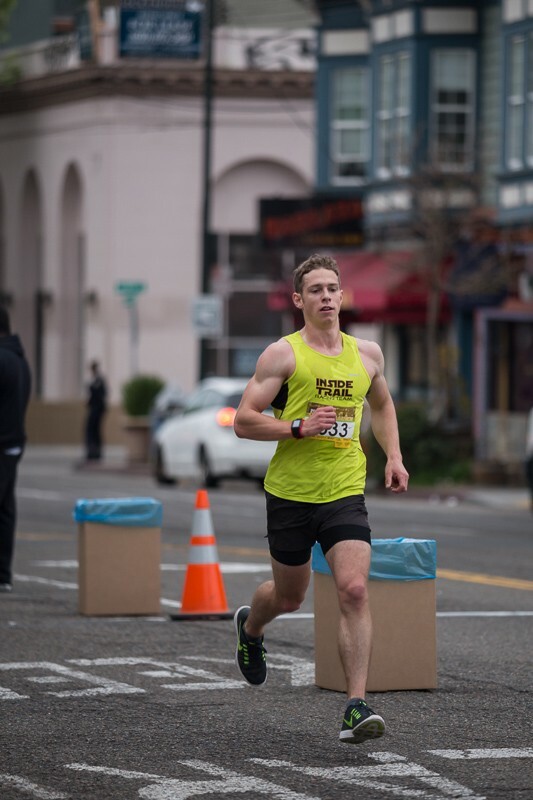 Congrats, Jesse Cherry from Oakland for winning the 2015 Oakland Marathon! 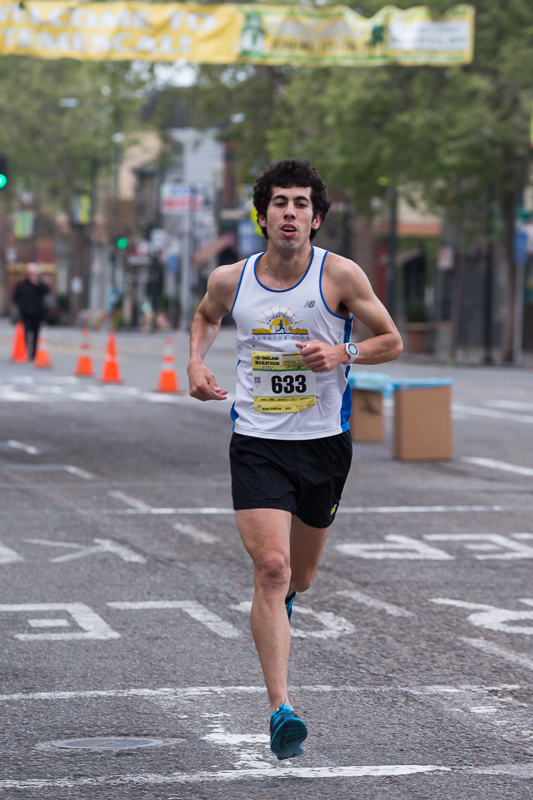 Congratulations to Jesse Cherry for winning the 2015 Oakland Marathon! 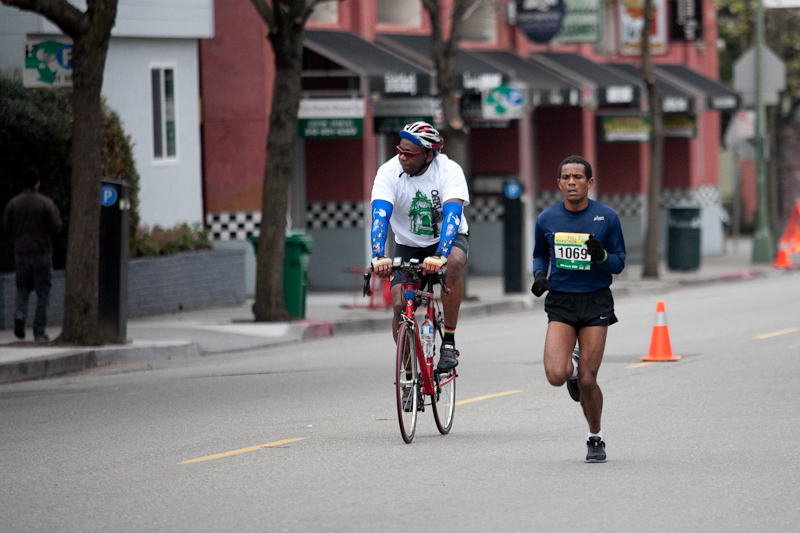 Here he is at mile 4. 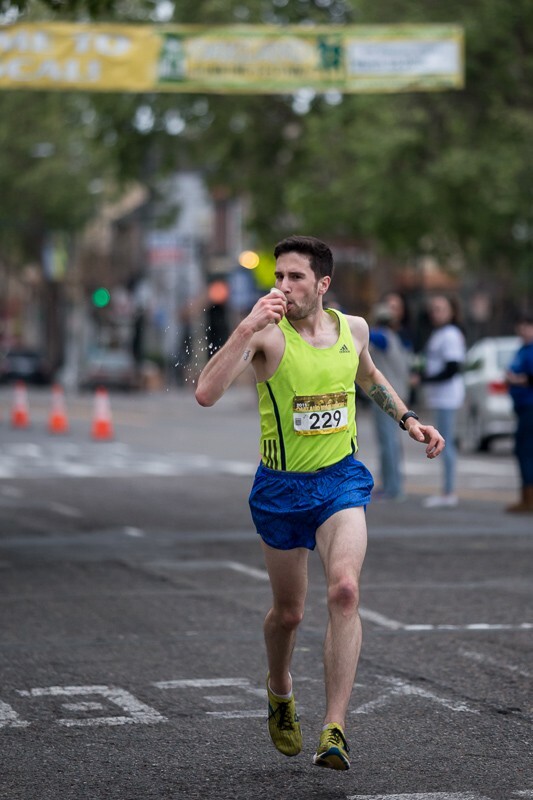 He looks fast even drinking water. Jesse finished in 2:25:14. 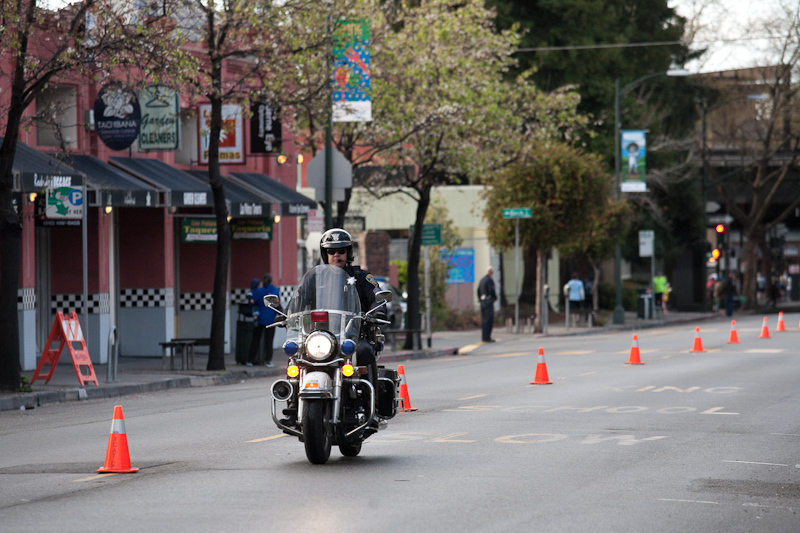 The weather looked great for it – mildly overcast and pleasantly cool. 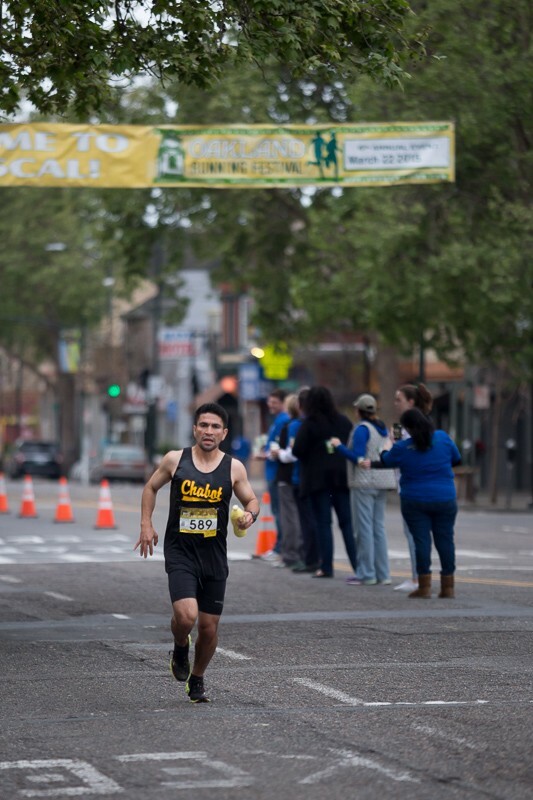 Ivan Medina finished 2nd with a time of 2:30:07 and 3rd place was Ryan Neely, who was only 5 seconds behind Ivan. 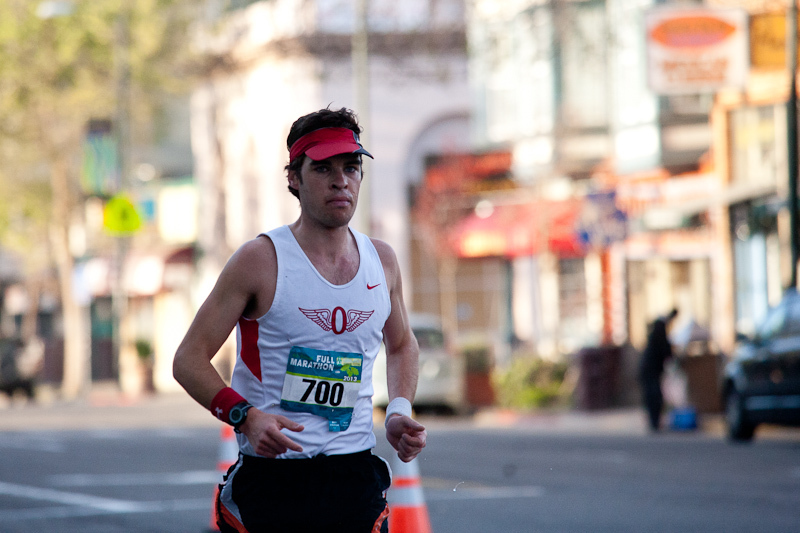 At the 2011 Oakland Marathon, Ivan finished 5th with a time of 2:44:33. 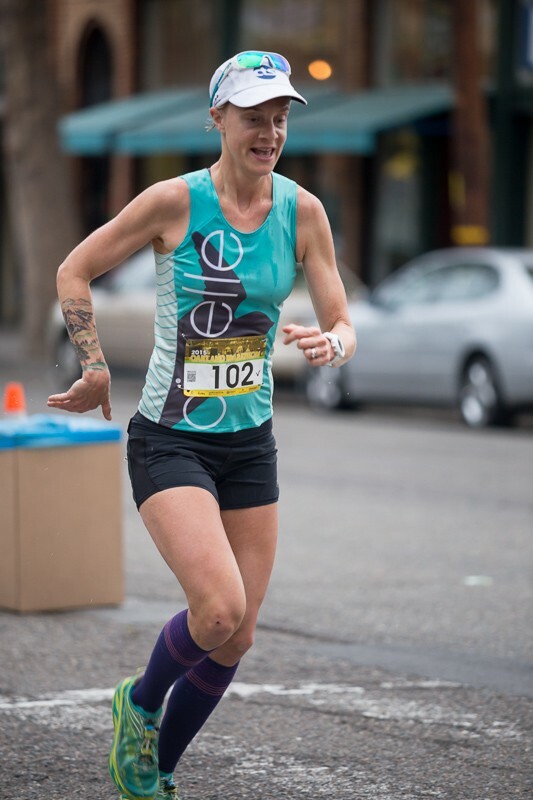 Devon Yanko won for the women, with a time of 2:56:02. She set the womens’ course record in 2013.